It counteracts the imbalance caused from sitting which may manifest in the shoulder, neck and lower back. It can also help improve posture. 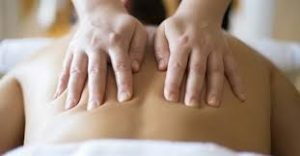 A 2010 study published in the Journal of Alternative and Complementary Medicine found that massage boosts white blood cells (which plays a large role in defending the body from disease). It can lower blood pressure and aid in muscle relaxation.